One key success factor determining where you will be in terms of your progress this year, two years from now, five years from now will be the questions you ask about your problems. In other words, you will want to develop a helpful set of problem solving questions. And a second key success factor will be how you choose to label and evaluate your problems. Every time you set a worthwhile goal, you are going to meet ‘problems,’ or roadblocks to personal and professional progress. The key between those who are successful and those who are not lies in the consistent pattern of questions you ask yourself about the challenge. 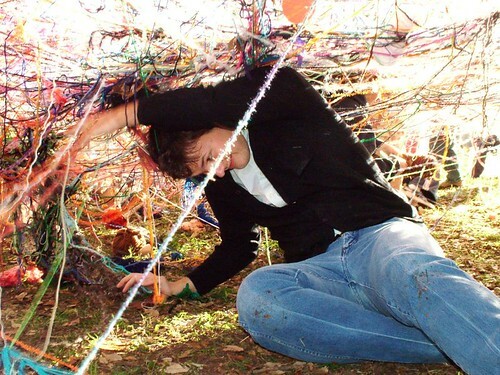 If we don’t tackle our problems systematically, we can end up caught in a tangled web of desperation! I am going to take one of the ‘problems’ I anticipate coming up for me this week. We all need a systematic way to deal with challenges, so this is one system that I am taking from Anthony Robbins’ book, Awaken the Giant Within. Rather than calling them problems, call them challenges, gifts, opportunities in disguise. This will help you be in a state of welcoming versus resisting the situation before you. So, my current opportunities in disguise is basement project that is only 50% complete. I am not a big fan of handyman projects, and I have a lot of other projects on my plate this week. I will run my thought process through the following consistent set of systematic questions, and will then discuss how I am feeling about this project once I complete my response to the following five questions. My automatic response to this question is, “You’ve got to be kidding me! There’s nothing at all great about this. However, as I think further about this, I realize that one of my goals this year is to be a more active leader and servant to my family. This is a prime opportunity for that. Also, it gives me an opportunity to do an activity that is non-sedentary. Finally, I am becoming more familiar with skills that will serve me as I work to become a better real estate investor. 2. What is not ideal yet? This question presupposes that the situation will eventually be at least close to ideal, although not perfect. If I think about my basement: the dry wall needs to be ordered, I need to put in about 17 more strips of insulation, and I need to clear some of the stuff out of the basement to make room for the drywall. I am going to remember the answer to #1 from this list. I am going to make time this Tuesday night to order the drywall, and I will take at least one hour out of my schedule this week (believe it or not, that is all the time I have to give to the project this week! to continue insulating the basement. I cannot feel sorry for myself, telling myself that I am just not a handy person, that I deserve a break after working during the day, or that I have other things I have to get done on Tuesday night. This is my favorite question! Do you realize you can set up your situation so that you can actually enjoy solving the challenge at hand? I am going to enjoy the process by making sure I get a nutritious supper, including a delicious spinach shake. (I know, it sounds strange, but really is one of my favorite beverages, and it comes with a powerful energy punch, with ingredients of frozen spinach, soy milk, water, banana, pear, and stevia). I will then get in some aerobic exercise, which will get my endorphin level where it needs to be. Finally, I will download some motivational information onto my new MP3 player, so that I am getting some positive educational input while I am working. Remember I told you I would reflect on how I am feeling about this opportunity in disguise once I had taken my thinking process through the above filter? I feel great! I now have a plan in place, and I can see how taking action is going to help me. Action Step: Think about a ‘problem’ you are facing this week. Run it through the five question system above, then let me know how things are going for you! Another inspirational article Steve – and a lesson I can personally relate to since I’ve spent the last 2 weeks in ‘crisis mode’. I always work at finding the upside in challenges … of course sometimes it’s a little MORE challenging than others, but if we’re honest it’s rare that we come through the other side without being able to look back and see how we’ve grown in the process. Marquita, thanks for the inspiration you’ve given me with your example of how you “work to find the upside in challenges.”. You make such a tremendous point: we can choose our attitude toward crises. I remember when my basement was flooded this summer: 3 feet of water, the loss of our lawnmower, two cars, and snow blower, as well as everything in the basement. It’s only because of learned gratitude from past crises that I was able to keep a positive and grateful attitude in the midst of the crisis. These are great questions of Anthony Robbins and they actually work in a very great way. I have used these problem solving questions myself and posted about it about one month ago. Further in this book there is also a description of the 10 day mental challenge, which put this and other techniques in practice and makes them a habit. I’m currently in my 7 day of the challenge and hope to finish it soon. Marc, thanks for sharing the ten day mental challenge. Wow, if you can master that 10 day challenge and keep the habits going, you’re going to experience some great results in 2012! I feel your pain. I too have a project that have been hanging on for several months I get the great idea to paint the living room. Since I have little time to do this the first floor of my house looks like a bomb went off ( had a major plumbing issue to deal with too). So you have given me some food for thought when tackling problems. Thanks for the inspiration! Hi, Joyce. I’m sorry you’ve had to go through those home maintenance headaches. But if we can persist with a realistically positive approach to our challenges,, we’ll come out that much better as persons. It certainly is helpful, Steve, to see your “problems” in a new light. They are stepping stones to success if you handle them the way you suggest here. So I’m totally in agreement with everything you’ve outlined here, but I’ve got to say… I want nothing to do with the spinach shake! You’ve got a great site here! Just found you! You give some rock-solid advice here, Steve. If we are so overwhelmed by all the “problems” in our lives, we’ll never get started whittling away at them. But if we approach them as opportunities or challenges, as you say, they suddenly become manageable. And what great questions to ask to get our minds focused and ready to recognize the real options available to tackle the challenges in our lives! I look forward to coming back again! Keep up the great work! Hi Steve! Your lists are really helpful how to deal with problems. Me too has difficulties on what to do with my room. How many times i have tried to fix it, but the result.. still looks like a mess! Richard recently posted…My Arowana Is Not Eating No Matter What I Do !!! That is a great exercise and I would love to see how it goes when you complete the project! I personally think “problems” are blessings in disguise. They provide the opportunity for growth, character and understanding. All of which are things which make us better people at the end of the day. Whenever I hit a rough spot I always remind myself that the blessing is in the struggle. Yes, the best way to approach any challenge is to think positive. Right now, I am going through teaching my son that it is okay to lose a game. Just practice and try harder next time. Of course, I started this with him 3 years ago. He is tough on himself, like I am. I just want him to have more fun than I did, especially when his father and I let him choose what he wants to do rather than force him into doing something he does not want to do. Nile, thank you for the feedback. It’s a challenge to look at ourselves and others in a balanced way, expecting excellence, yet welcoming failure as an opportunity for improvement. Hi Stephen, great article! I love your questions and the way they turn a “potential problem” into a challenge. Number 5 is my favorite question also, one of my solutions to making a task more enjoyable, is to play my favorite music! Or, if it’s something I don’t need to concentrate on (like excercising), I love listening to motivational audios also! I always thinks of problems as either opportunities or not really a problem. We need to confront these opportunities and decide what action is needed rather than ignoring them. Good post, I enjoyed the read. Peter, I’m sure you can relate to this as a CPA. It’s often in the financial area that I’ve put my head in the sand when it comes to facing overspending. Fortunately, I’ve been on track with my budget. I’m tracking every single expenditure daily, and it provides such a sense of relief and control. But when the ‘problem’ of my foolish overspending was confronting me, I ignored it. Then, when the pain got too bad, I confronted it. And, lo and behold, things are a lot better now. I like the idea of calling our problems “challenges, gifts, opportunities in disguise”. It is positive attitude that can help to solve them. “What is great about this problem?” – good question, but it is not always easy to find good anwer. Asking question is one of the gems I also picked up from Tony Robbins. When we ask questions we appeal to our brain to find the answer, to access our inner wisdom and that of the Universe. Looking for the gift in any situation makes it a lot easier to find solutions. We would not grow and be where we are if everything was easy. Always think positive. Sometimes problems come, to make us stronger and be more wiser. It is an opportunity to see the results of all wrong decisions that we made and get a chance to correct them and to move forward as a stronger person. Great points, Jefferey. One of the best ways to do this is to reflect at the end of the week, journal, and then make plans for the next week with this information in mind. How interesting to change your mindset about a problem, while you are in the middle of experiencing it. I have personally discovered, at some later point, that having had a specific computer or internet problem has later helped me to avoid a similar problem or quickly fix it. So what was originally seen as an obstacle and a frustration became knowledge that I could later use. The trick is to realize this while undergoing the problem. Dr. Erica, you are so right when you say that the trick is to realize a more helpful way of looking at things while going through a problem. We almost need to mentally rehearse our reactions to problems before they occur, so that we will be best equipped to handle our ‘problems’ in real time. These are powerful questions that helps change focus, and fid the resources in us to produce change. Change is about us not about the changing our environment , growth is about having the courage to get out of our comfort zone. Thanks again for this great message full of power and this is a tool everyone can use in his or her everyday life. Patricia Gozlan recently posted…Savvy Business Owners:Do You Have a Microwave-Mindset? “Growth is about having the courage to get out of our comfort zone.” Thanks, Patricia, for the great reminder!